"Since my transfer from Orange County, California, 19 years ago I've had the pleasure of working with an outstanding group of personnel from Cedar Lake Electric. During my tenure as facilities manager at other facilities along with Multek there have been numerous electrical contractors to which I've worked with. From those I would place Cedar Lake at the top of the list for their professionalism, capabilities, engineering abilities, support, and insuring that work is completed on time. This company has provided service to our facilities on a daily during this time and over those years although personnel may have changed their outstanding service has not." 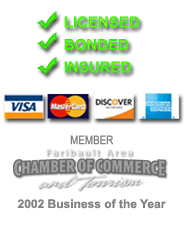 Roy Barnett - Facilities Manager - Multek Flexible Circuits, Inc.
"Since Pepsi Bottling Group has been including Cedar Lake Electric as one of our vendors, they have quickly become one of our preferred vendors. Their professionalism and knowledge of their skill craft has helped multiple projects of ours become successful. From preparing bids and seeking out exactly what specifications we have, to the installation work and having their crews interact with out team to ensure the quality of the project to the follow-up after the project had truly proven Cedar Lake Electric a superior contractor." "Varley Construction's experience with Cedar Lake Electric is that their design-build bids are very complete and thorough, Their on-site work is well organized by project managers before they arrive and is carried out in a professional manner." "Cedar Lake is also my 1st choice when it comes to getting a dependable contractor to help us facilitate our Kaizen moves. During out lean events we need to move entire departments within a 1 day time frame. Cedar Lake has successfully helped us achieve our move goals every time." "Cedar Lake Electric's entire staff from the front office to the tradesmen in the field are focused on meeting the needs of the client and project. We appreciate the professionalism and knowledge that Cedar Lake Electric provides for our projects. Many projects in today's market require Design-Build services and Cedar Lake Electric has shown us that they have the expertise to add value to our projects." Steve Underdahl - Procon, Inc.
"Cedar Lake Electric provided us with excellent service during the renovation of our new facility in Faribault. They adhered to a very tight schedule allowing us to move in as planned. We found everyone both skilled and knowledgeable, and we would recommend them to any of our clients without hesitation." Brian D. Gjerde, P.E. - I&S Engineers & Architects, Inc.
"McQuay International has depended on the services of Cedar Lake Electric for over 30 years. The electricians at Cedar Lake Electric are very knowledgeable and easy to work with." "Cedar Lake Electric's response time and flexibility has made them a powerful business partner for the past decade and they continue to always shine as leaders in their field of expertise." "Cedar Lake Electric has established itself as a true leader in the construction industry. It is a pleasure working with the office staff as well as the field technicians, all employees continue to deliver professionalism on a daily basis. We look forward to continuing our working relationship with Cedar Lake Electric installing and servicing energy management systems throughout the great state of Minnesota." Mark Stover, President & CEO - Stover Electric, Inc.
"Over the years you have participated in a number of your projects involving electrical site prepartation for new equipment as well as facility remodeling. It is our experience that Cedar Lake has been very customer oriented in meeting our needs with a quality product. Keep up the good work!"